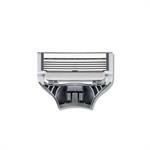 New Item - We Cryo Temper the razors in the package down to -300F. The 3 day freezing process makes the metal more durable and extends the life of the razors cutting edge. 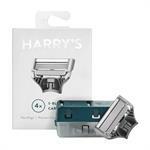 Harrys Mens Razor Blades are German-engineered, five-blade cartridges that evenly distribute pressure over your skin ensuring a quality shave and follow with a lubricating strip for a smooth finish. 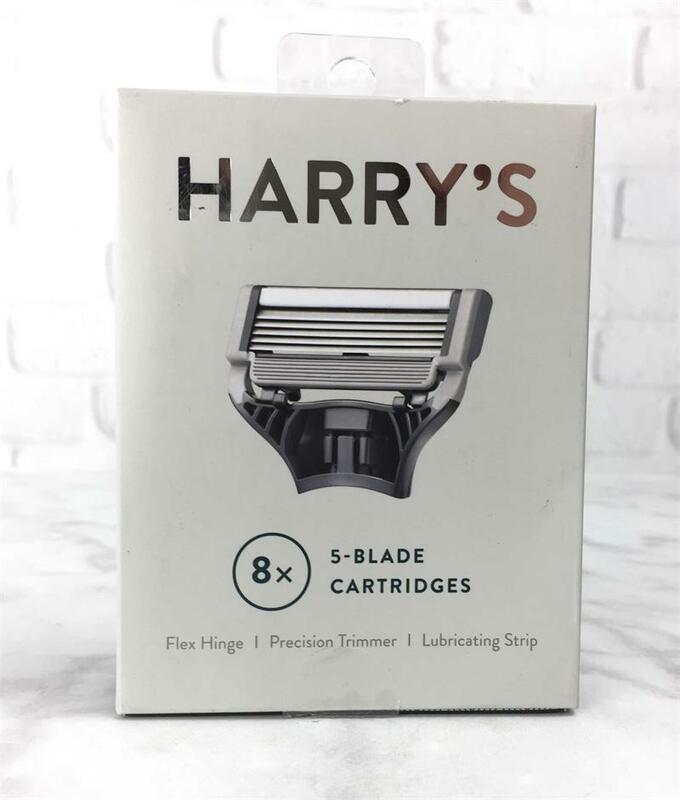 Each blade cartridge features a rubber flex hinge that has a perfect balance of elasticity and resistance to help it glide more comfortably over the contours of your face. 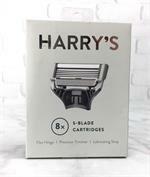 The special blade at the top of the cartridge makes it easy to trim your sideburns and hard-to-reach places like under your nose. 4 German-engineered blade cartridges, each with a flex hinge and lubricating strip Our German factory has been grinding high-grade steel into some of the worlds sharpest blades for almost 100 years Our blade box keeps your blades in optimal condition until you are ready to use them. Its easy to use, water-friendly, and 100% recyclable We source the highest-quality Swedish steel for our blades After processing, we finish it with a rust-preventing coating.